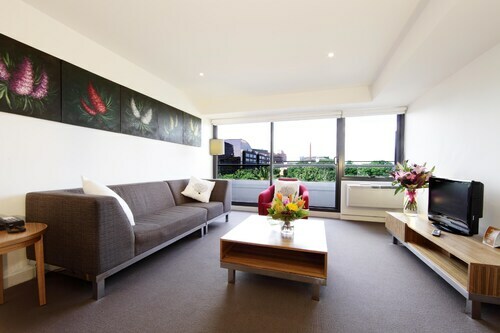 This family-friendly Melbourne hotel is located in the business district, within a 10-minute walk of St Kilda Road and Alfred Hospital. Fitzroy Street and Albert Park Lake are also within 1 mi (2 km). Prahran Station is 14 minutes by foot and Windsor Station is 23 minutes. 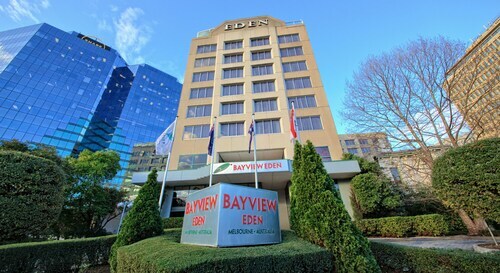 This family-friendly Melbourne hotel is located in the entertainment district, within a 15-minute walk of St Kilda Road and Alfred Hospital. Royal Botanic Gardens and Shrine of Remembrance are also within 1 mi (2 km). South Yarra Station is 20 minutes by foot and Prahran Station is 27 minutes. 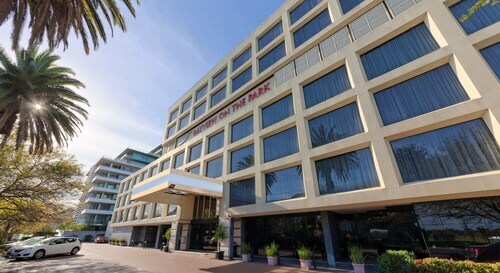 This family-friendly St Kilda hotel is located on the Strip, within a 10-minute walk of Fitzroy Street, St Kilda Pier, and St. Kilda Sea Baths. St. Kilda Beach and Luna Park are also within 15 minutes. Windsor Station is 25 minutes by foot and Balaclava Station is 28 minutes. Situated in the entertainment district, this luxury apartment building is within a 15-minute walk of St Kilda Road and Fitzroy Street. St. Kilda Beach and Luna Park are also within 1 mi (2 km). Balaclava Station is 12 minutes by foot and Windsor Station is 18 minutes. Port Phillip, a popular area that you can find 45 kilometres south of the central business district of Victoria's state capital, Victoria, is somewhere you should see while you're in town. Have you been waiting for some big draws such as the Crown Casino and Entertainment Complex, Federation Square and St. Kilda Beach? You'll find plenty in Victoria. The Royal Botanic Gardens and Luna Park are some things you could check out in and around Port Phillip. Visit Shrine of Remembrance and gain a deeper perspective on the beliefs and practices of the local culture. 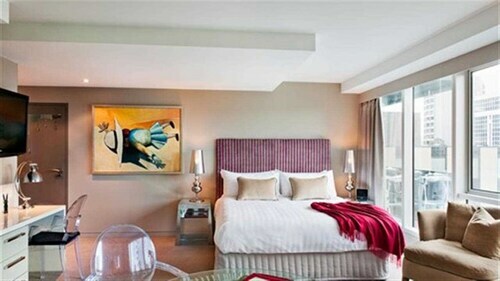 The Grand Hyatt Melbourne and The Westin Melbourne are perfect if you want to kick your feet up nearby. For a little bit of culture, both locals and tourists flock to Australian Centre for Contemporary Art. Before visiting, read through the guide to see what exciting events, performances and exhibitions are taking place. Look into the AKOM Docklands and Docklands Private Collection of Apartments - NewQuay to be near this attraction. The Art Series-The Blackman and Melbourne Parkview Hotel are two more upmarket places to rest and relax in Port Phillip. That said, don't panic if you are travelling on a budget, as Port Phillip contains a selection of accommodations for all travellers. 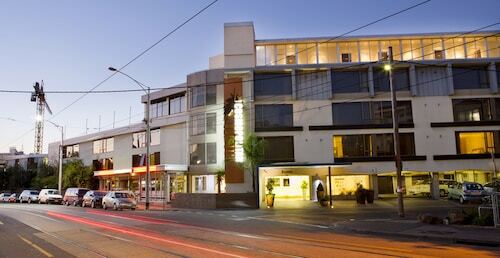 Calling in to Melbourne Parkview Hotel is a fantastic way to kick off your day in Port Phillip. Just follow the aroma of roasted coffee beans! Once the caffeine fades and your belly starts craving something a bit more substantial, take a look at the menu at Donovans. This popular establishment plates up some seriously tasty meals. 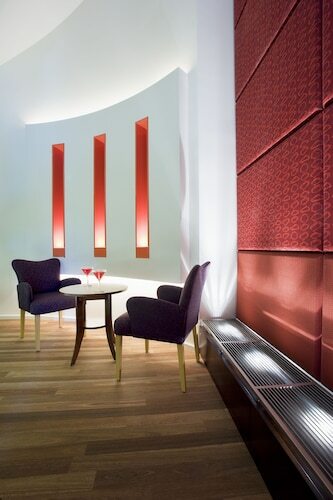 Before strolling back to the hotel, why not pull up a stool at Rydges St Kilda for a few well-deserved drinks? Both beer and wine drinkers will find plenty to like here. It's worth thinking about booking a hotel in Middle Park or St Kilda Road when organising your Port Phillip holiday. Middle Park is only 0.2 kilometres from Port Phillip and St Kilda Road is approximately 2 kilometres away from Port Phillip. Wotif will help you stop hesitating and start exploring. From flights and lodgings to activities and car hire, we will make it happen. How Much is a Hotel Room in Port Phillip? 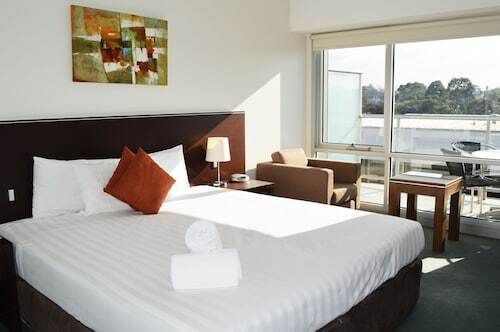 Hotels in Port Phillip start at AU$81 per night. Prices and availability subject to change. Additional terms may apply. Perfect location for exploring St. Kilda The room was compact but had everything we needed. The only thing that could have been better was the tea/coffee provided was not very nice and the milk supplied was not enough. Granted, we could always just pack our own next time. Hotels near Colonial Brewing Co.